A Childcare Worker is responsible for keeping records of individual children, including information about activities, meals served and medication. They instruct children in health and personal hygiene, and teach them simple painting, drawing and songs. 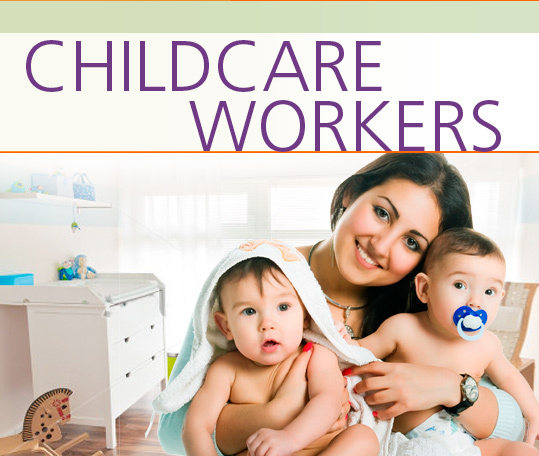 In the Childcare Workers Career Extension, students learn how to interview for a job, and discuss their education, training and work experience. They ask about job responsibilities and discuss health and safety policies. They become familiar with work conditions and learn how to order equipment and supplies. They learn how to handle complaints and talk about their strengths, weaknesses and goals for the future..